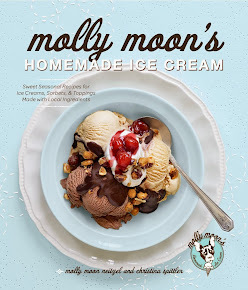 molly moon's homemade blog: Celebrate the Last Day of School with Molly Moon's! Celebrate the Last Day of School with Molly Moon's! After a fantastic first month, we are ready for summer here at Molly Moon's! Aren't you? To celebrate the last day of school for Seattle students, we are proud to introduce Creamsicle, one of our summer flavors, next Tuesday, June 17. And we're importing a beach, to get us all in the summer spirit! We are creating a sandy beach out in front of the shop, complete with a kiddie pool and tons of sand for kids of all ages to enjoy! For ya'll who prefer to take your party home, we'll be offering a "last Day of School Special" -- a quart of ice cream and a box of a dozen organic cones for $12! The special will last until 11 p.m. on Tuesday. Hope to see lots of you next week! p.s. If you haven't had a chance to read it, check out our latest great press hit in the Seattle P-I this week! i finally tried your ice cream last night and loved it! my friend & i stood in line for about 20 minutes but it was worth the wait. i've only seen lines like that for yogurt or cupcake shops in la. one question - is the salty caramel always that salty? i think it would be fantastic if you toned it down a bit.